How to Install Handrake Libdvdcss to Rip DVD on Windows 10/macOS High Sierra? Using Handrake to rip DVD into a movie to watch on your computer can be pretty simple, however, the problem is that Hanbdrake can only rip unprotected DVD, but most DVDs you buy from the store have copy protection. To get around this, you’ll need to install libdvdcss. Libdvdcss is a free and open source software library for accessing and unscrambling DVDs encrypted with Content Scramble System(CSS). Libdvdcss alone is only a library and can not play DVDs. DVD player applications, such as VLC media player, use this library to decode DVDs. Libdvdcss is optional in many open-source DVD players, but without it, only non-encrypted discs will play. – Libdvdcss currently supported platforms are GNU/Linux, FreeBSD, NetBSD, OpenBSD, Haiku, Mac OS X, Solaris, QNX, OS/2, and Windows NT 4.0 SP4 (with IE 5.0) or later. – libdvdcss is used only for free software, like HandBrake to decrypt DVD. – VLC installed with libdvdcss supports DVDs of all regions (1-6) only if you have RPC1 drives, for raw access to RPC2 drives can’t be made successfully, which however is required to circumvent the region protection. On Windows, you can download the Libdvdcss file separately (here for 32-bit systems and here for 64-bit systems), leave the filename as libdvdcss-2.dll, and put it in your Handbrake program folder (C:\Program Files\Handbrake). If you’re on a Mac, download this file and double-click to install it. For Mac users who runs OS X El Capitan, there will be a few more steps to install libdvdcss on El Capitan. The main reason is that the SIP (Sytem Integrity Protection), a security feature on Mac OS X El Capitan is designed to protect critical system files and processes. Unfornately, SIP removes the libdvdcss file that Handbrake needs in order to work. You could disable SIP or use the following complicated way to install libdvdcss on El Capitan. 1. Close Handbrake, and open a new Finder window. 3. Inside this folder should be a folder named “Migration-[random letters and numbers].” Open that folder and you’ll find “QuarantineRoot.” Open that folder, and you should see yourlibdvdcss.2.dylib file. 4. Open a second Finder window. 5. Type cmd+shift+G, and paste in this path: /usr/local/lib (If you get an error saying this folder doesn’t exist, go to /usr/local instead, create a new folder called “lib”m and open it. 6. Drag and drop the libdvdcss.2.dylib file from the first window into the /usr/local/lib folder. You should be prompted for your admin password. Type that in and wait for the copy to finish. As we listed above, by installing libdvdcss on Handbrake, you can only remove the CSS encryption equipped on DVD disc, however, as for other DVD protection such as Sony ArccOS, UOPs, and Disney X-project DRM, you will fail to do the job even you have installed libdvdcss. In addition, the process of ripping commercial DVD on El Capitan with Handbrake and libdvdcss is too complicated for most Mac users. 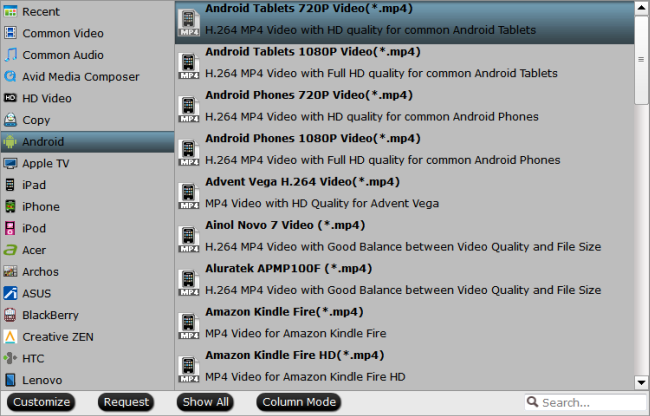 If you are looking for a more powerful and simple to use application to Handbrake alternative, Pavtube DVDAid for Windows/Mac (best DVD Ripper for Windows/Mac) can be your first choice, it keeps contant updating with perfect support for all the region codec and also the latest copy protection on DVD disc, it enables you to loading both DVD disc, DVD Video_TS folder and also DVD IFO/ISO image file, you can make a full disc copy of DVD of original structure with all the subtitle languages, audio tracks and chapter information well preserved for storing on computer hard drive, external hard drive or usb flash drive, NAS, or main movie copy of DVD without unwanted comments, advertisements, etc for media players playback or rip DVD to various different popular video/audio file formats and device preset profile formats for viewing on smartphone, tablets, game consoles, TV, etc. Insert your DVD into the optical drive on your computer, start the program, on the main interface, click “File”> “Load from disc” to load DVD disc into the program, you can also add Video_TS folder or IFO/Image file into the program. Step 3: Edit DVD movies. 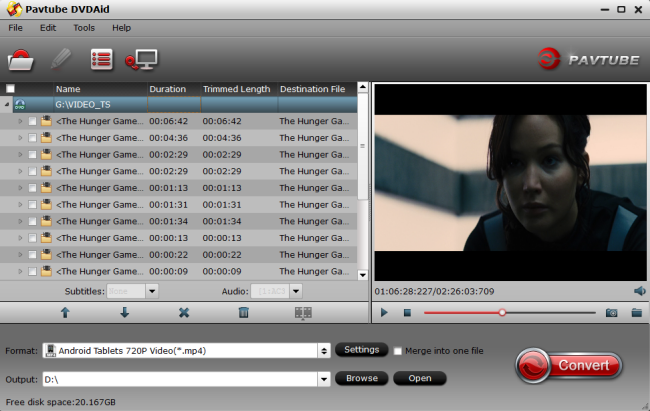 Select a movie title or chapter on the main interface to active the “Editor” function, then click the Edit icon on the tool bar of main interface to open the Editor Window, you can play and preview the original DVD movies and output effects. 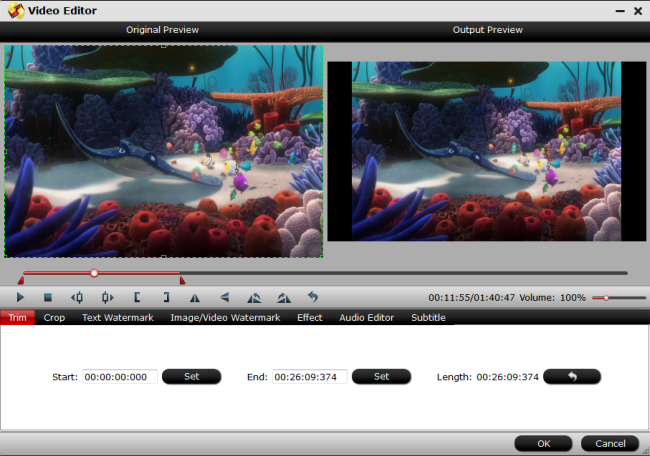 Also you can flip DVD, trim, crop, add effect, reset, and adjust volume. Step 4: Begin the DVD movie ripping or converting process. Clicking the Convert button on the right-bottom main interface, you can go to Conversion window to start conversion. After the conversion, you can click Open output folder to pop up the output directory with the converted files.